Two of my biggest passions in life are writing and gardening, in no particular order. I’ve been extremely satisfied since making the decision to take indoor growing more seriously and I thought it would be a great idea to combine my two passions together by creating a site for others who have a passion for indoor growing. 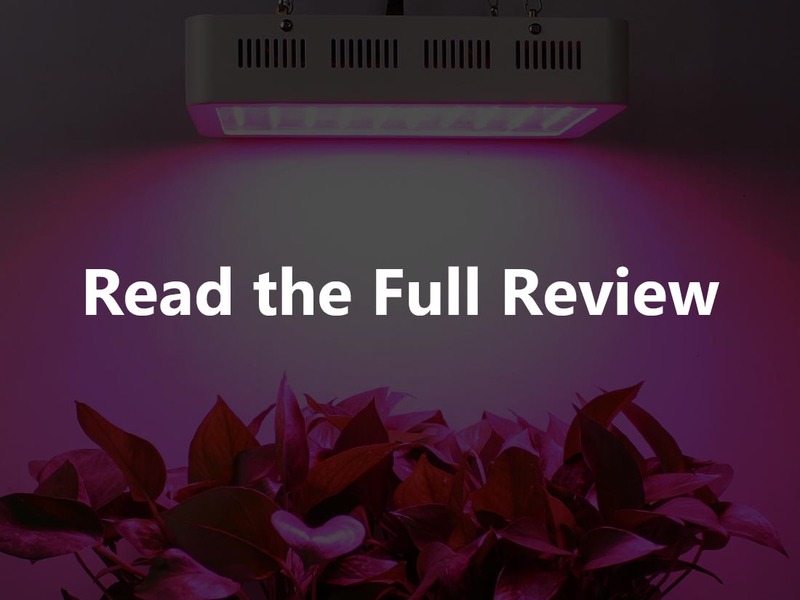 After a bit of research I’ve come to the conclusion that LED grow lights are the best choice for any indoor grow operation these days, whether for horticulture, growing plants, crops, cannabis, or even hydroponics. 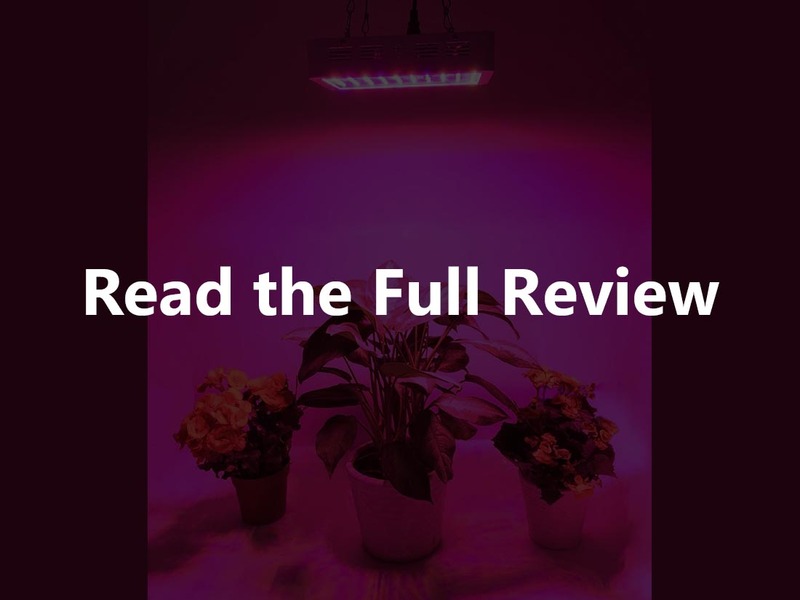 It hasn’t always been an easy journey, but I think at this point I have a good understanding of how to recognize a good LED grow light, and hopefully you’ll find the information I’ve gathered together here useful as well. 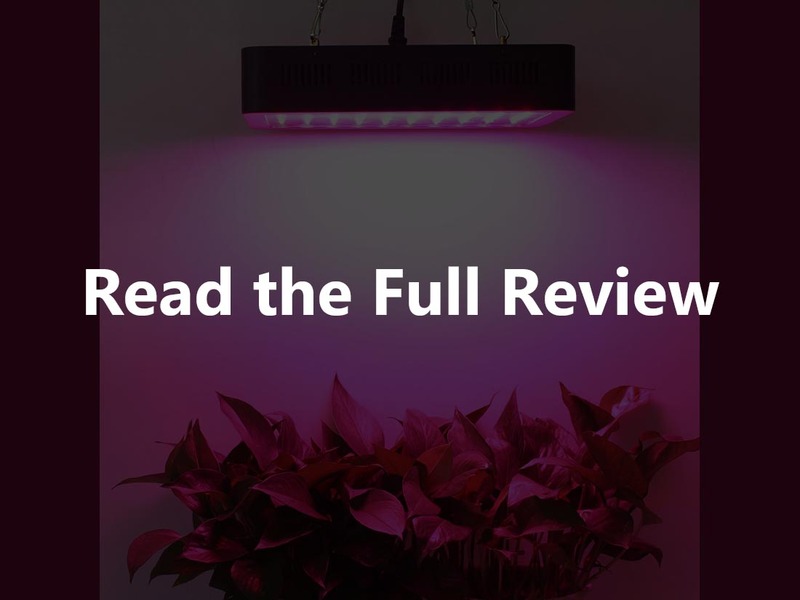 You’ll find a lot of reviews here of some of the more popular LED grow lights on the market and they are the main focus of the site, but there’s also a lot of other information. With the informational articles it was my goal to provide as much information about the whole growing process so that anyone that’s starting out, or anyone that’s having any kind of trouble for that matter, would have a good idea of how to turn their operation into a success. The great thing about the Internet is that you can pick and choose which information you want to read and ignore everything else. I’m not going to lie, I hope you read everything on the site, but just in case you don’t you’ll find each article and each review is independently contained; they aren’t dependent on you reading anything else on the site. 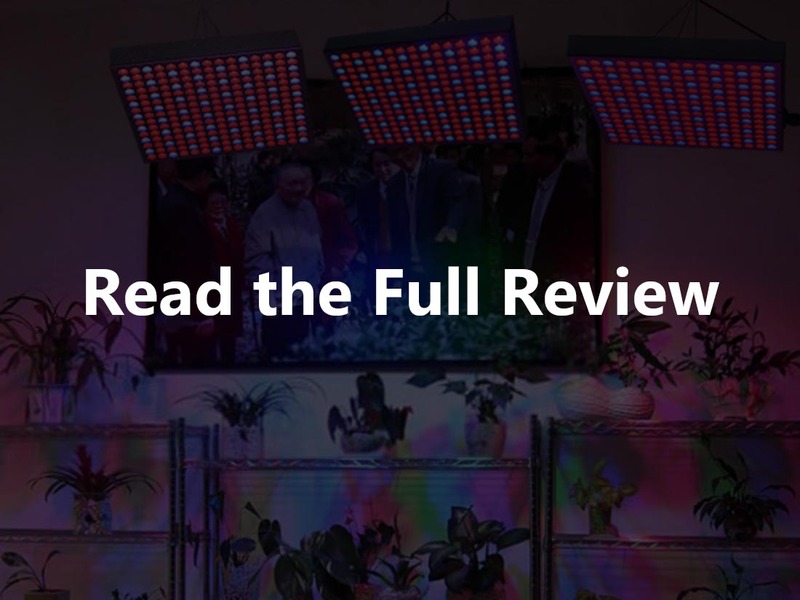 If you feel you have a great understanding of how photosynthesis and indoor growing works, you may just want to read the reviews and that’s fine. If you want a little more information on how the whole process is strung together then the information articles are available to you. 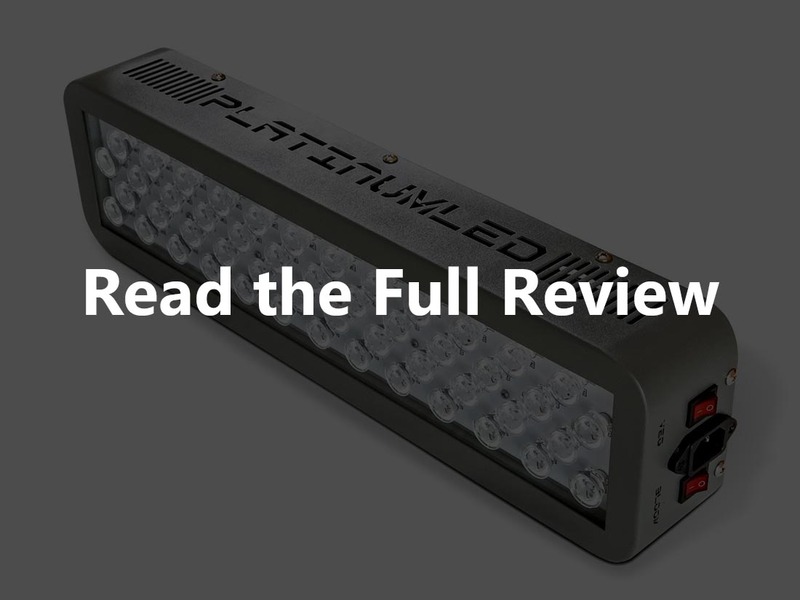 My main purpose in putting together this site is making sure that I not only provided some great reviews of LED lighting, but also a great overview of the industry as well. We all have our own individual biases and I’m certainly no exception. Some of the products reviewed on this site are better than others in my opinion, and you can probably guess which ones from the tone of my reviews. In the interest of being transparent and making your decision a little more straightforward I’ve also put together a snapshot of my personal favorites and you’ll find that below. You may have other ideas based on your own experiences or just a gut feeling, and by all means go with those, but hopefully you’ll find my insights useful as well. There always has to be a first on any list, but don’t think that necessarily means this is my favorite choice. I’ve included the King Plus 1000W with Full Spectrum because it is a powerful light system, and the fact that it has full spectrum coverage sets it apart from a lot of its competitors. No light actually measures up to the output that they claim, but with 1000W available for use this lighting system is more than capable of getting the job done. Perhaps the main reason I couldn’t avoid including this light on my top picks list is because it also includes bulbs from the infrared and ultraviolet spectrums. The debate may rage among scientists and gardening experts as to how effective these types of light are in the growth process, but the bottom line is a lot of research seems to suggest that they’re essential. This light is also very good at dissipating heat as it has two built-in cooling fans – certainly a welcome inclusion. I’ve seen the frustration of trying to find that one bulb in a chain that didn’t work and it’s something I hope I never have to live through personally – unfortunately my father wasn’t so lucky. 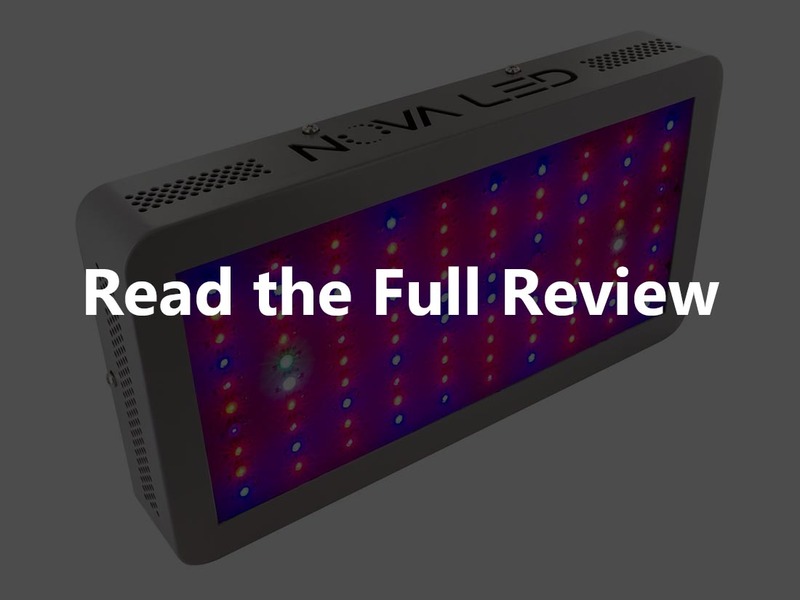 These days a lot of lighting systems include technology to ensure when one bulb goes out the rest continue working, and that’s built right into this LED Grow Light 300W by Lightmetunnel. This light has a technology called Zener protection which ensures the rest of your bulbs will keep working just fine if one goes out; that’s a very comforting feeling. I also liked this light because it covers nine bands of the color spectrum, which makes it just about perfect for your needs right from the seed stage through to the blooming and flowering stages. Many growers set up systems that require multiple different lights to cover these different stages; that can be a bit of a pain, so it’s a welcome relief to see that one lighting system can cover all of your needs. 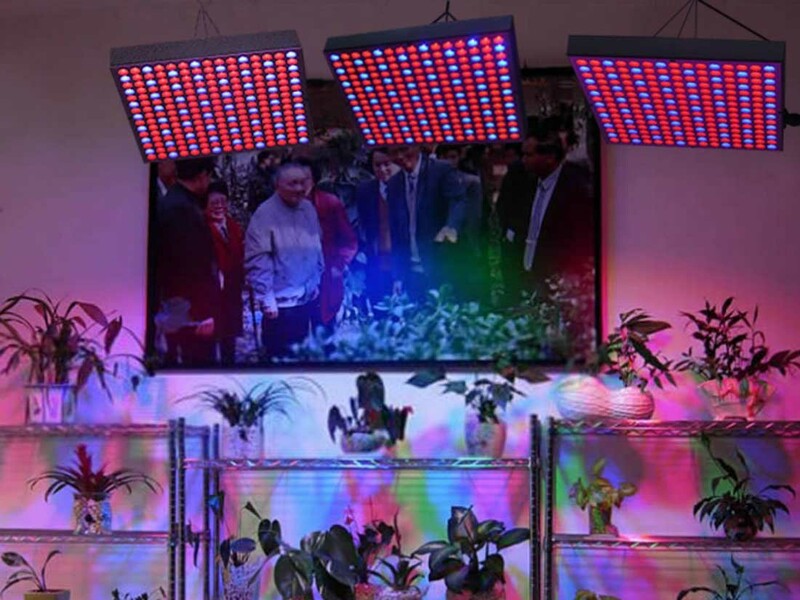 The main reason that the Global Star G02-50x6w LED grow light makes this list is because of its inclusion of the ability to control which lights take predominance at any particular time. It has built-in switches that you can turn on or off to give precedence to one type of bulb over the other. If your plant is early in its growing cycle you’ll probably want to give more emphasis to the blue light in this vegetative stage and you can do that, but when it’s time to encourage those plants to bloom you can quickly switch over to red as well. This light also has some other favorable features including dual cooling fans to keep your system operating at an acceptable temperature, as well as Zener protection to ensure it keep working if one bulb burns out. 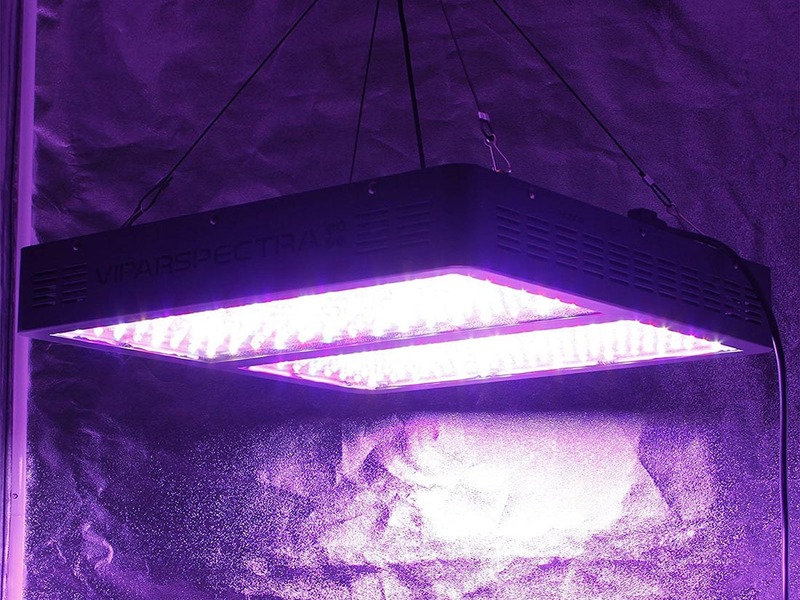 On top of all that it has a pretty decent coverage area when placed above your plants; it’s capable of providing light for plants in an area beneath it of between 6 and 10 feet – that’s well above the industry average. There is a lot to like about the Nova N300 Full Spectrum 300W – not least of which is the fact that it operates in 12 different colors on the spectrum. That makes this lighting system’s color spectrum one of the most complete of any product available in the LED category. Plants use different parts of the color spectrum in different ways during their growth process and it’s important that all of the light they need is present whenever possible, so this is a big plus for this product. 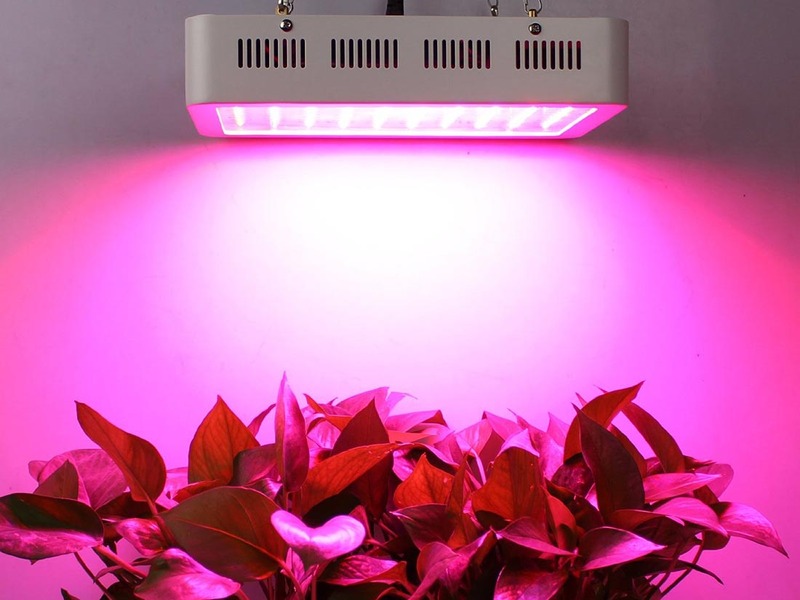 Another great feature of this particular grow light is the fact that it allows you to control the angle of your bulbs, which makes it easier to focus the light directly at your plants at all times. It also includes three cooling fans, which is important in any lighting system, but what really sets this light apart from the field is the fact that you can daisy chain the lights. This means you can plug one light into the other continuously to form a chain of lights over your whole operation connected to one single outlet. It’s a lot more convenient and it allows you to expand your operation quickly and easily. If you’re looking for a light with a little extra output then the VIPARSPECTRA 1200W may be perfect for your needs. 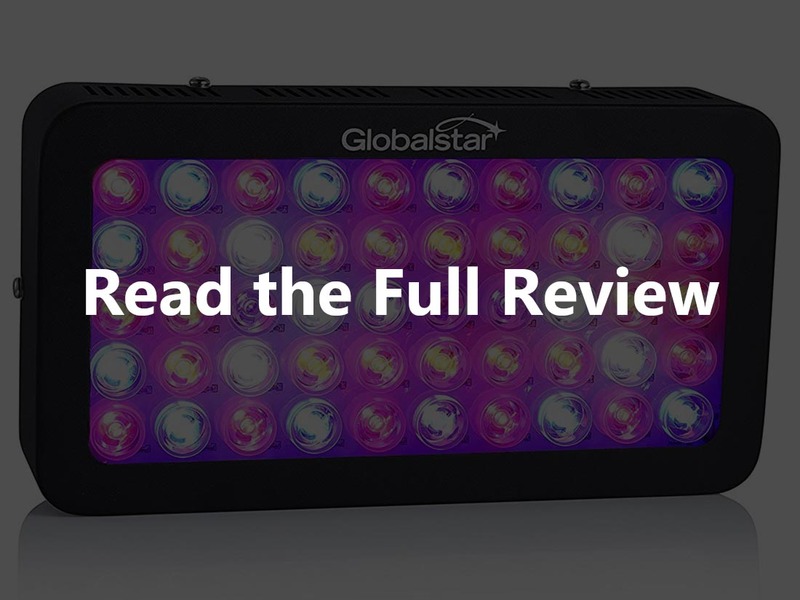 This is without a doubt one of the most powerful LED lighting systems on the market and while 1200W may seem like overkill you can be sure that your plants will be getting the light they need if you go with this system. You’ve also got to remember that a 1200W LED light doesn’t consume anywhere near the amount of hydro that a traditional lighting system does; according to the manufacturer of this system it actually only draws about 524 W of power. When you have a more powerful lighting system you’ll also need more cooling power and this system has you covered in that respect as well with 6 built-in cooling fans. 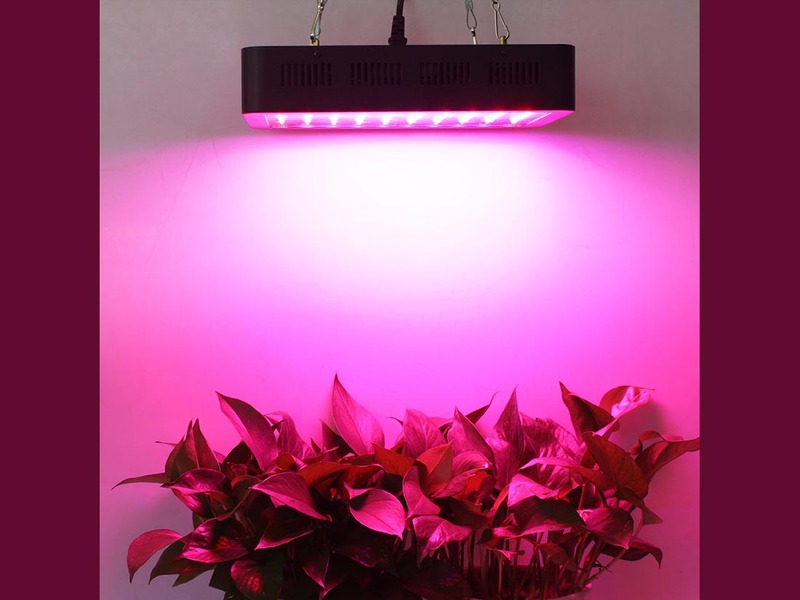 It also allows you great control over which lights your plants will be exposed to at any particular time, as it includes a switch that allows you to change between a vegetative and a blooming option. 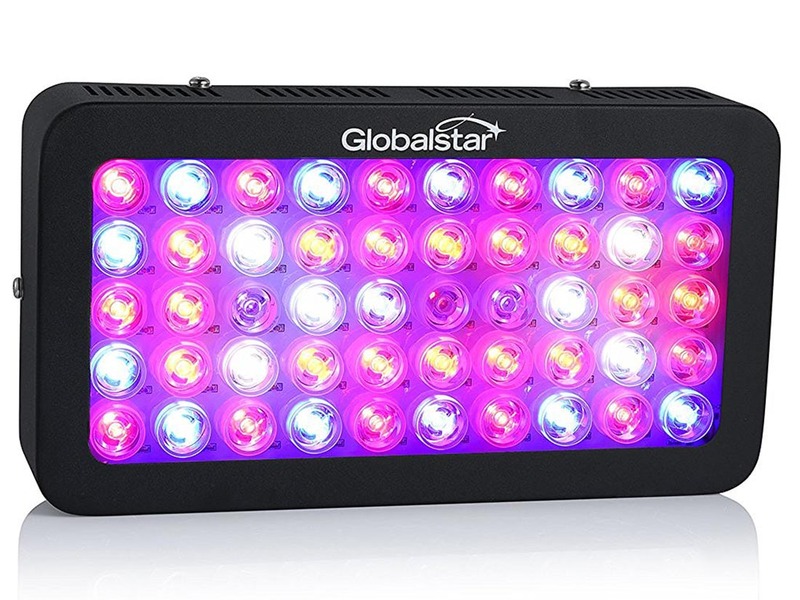 While the Galaxyhydro 300W may be advertised as a full spectrum LED system that’s not quite true as it only covers nine bands of the spectrum, but it does cover the key parts of the spectrum that are important to plant growth and that’s really all that matters. They’ve got you covered during the seeding stage, the vegetative stage, and the blooming stage, which should ensure healthy plants at the end of their growth cycle. The great thing about this lighting system is that you’ll get a lot of use out of it as it’s designed to last between 50,000 and 100,000 hours, which is up to 10 times more than traditional lighting systems. This may not be unique to the Galaxyhydro LED lighting systems, but it’s an important feature none the less. You’ll also be happy to know that this LED light operates very quietly so you don’t have to worry about an annoying hum emanating from your lights. 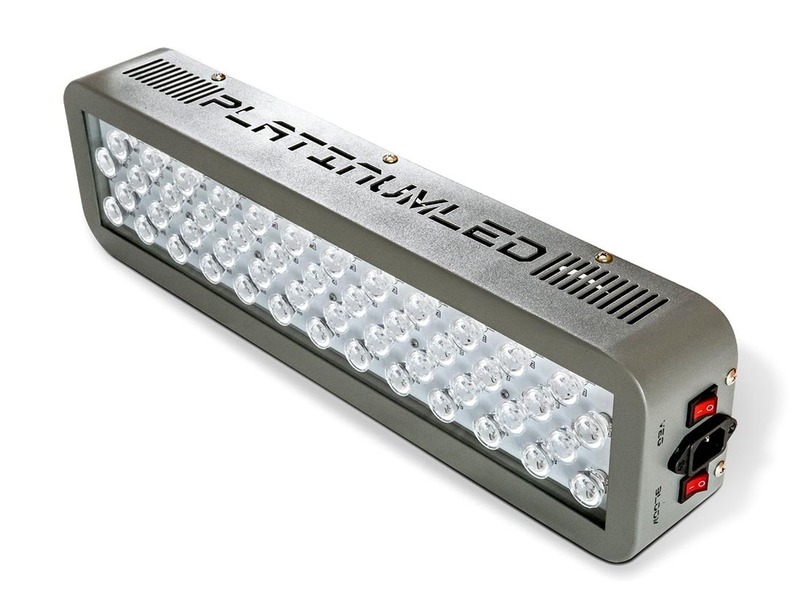 The Advanced Platinum Series P150 is without a doubt an impressive lighting system as it’s one of the few lights that actually does come close to offering a full spectrum of colors for your plants. This light operates on a 12-band spectrum ideal for ensuring your plants have healthy growth throughout their lifecycle. Plants have different needs at different stages of their life just as we do. You wouldn’t feed a baby steak and potatoes and the same analogy applies to plants. 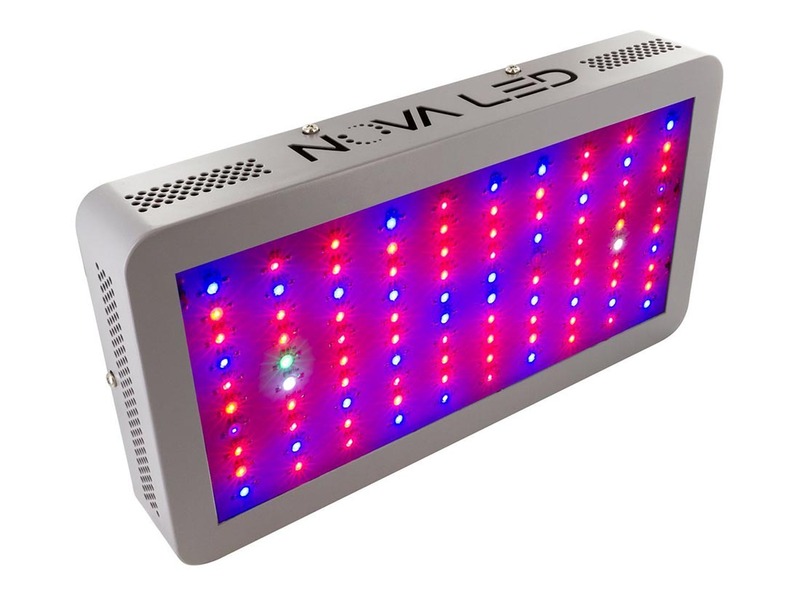 Not only does this light offer the different types of light from the spectrum that your plants need in any given stage of their growth process, but it also allows you to control how much of each type of light your plants receive at different stages in their development. By controlling which type of light your plants receive at any given time you can ensure they’re getting what they need at each separate stage. 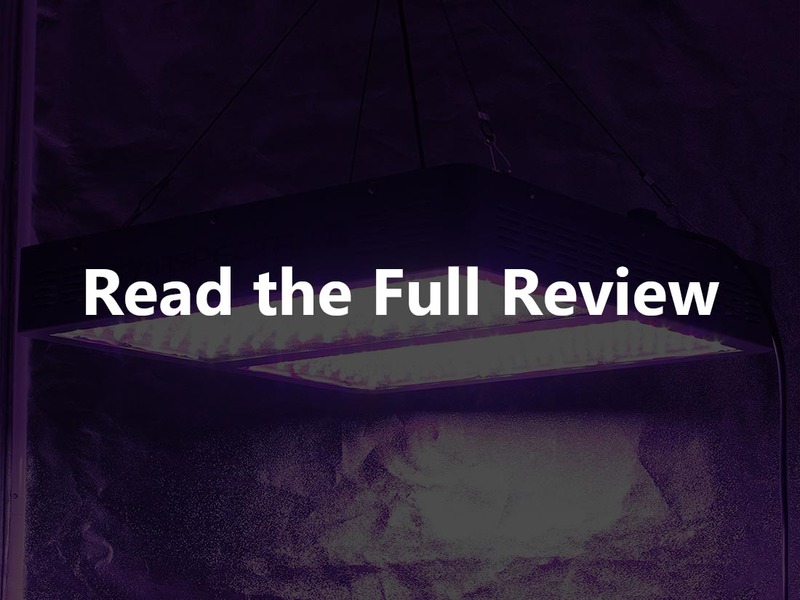 If that isn’t enough to convince you that this lighting system is one of the best choices on the market, perhaps the fact that it has a 90-day money back guarantee and a five-year warranty will. The final product we’ve included in our choices for the best options in the LED market is the Erligpowht 45W LED, and while this particular light is nowhere near the most powerful on the market it’s a great option for a small operation. If you’re on a tight budget and you want a reliable light that can actually help your plants to grow, this is a great choice. It’s by no means appropriate for a large grow operation, but for the backyard enthusiast it certainly makes the grade. 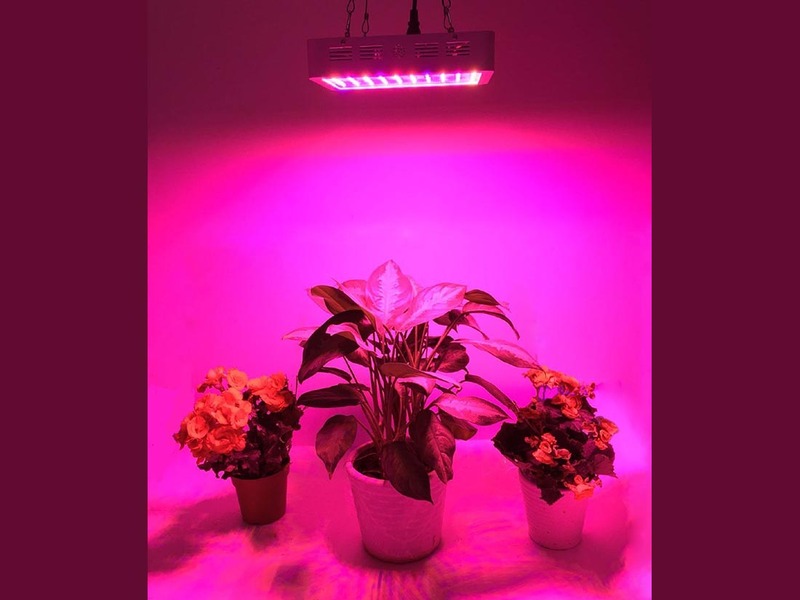 As is the case with other LED lights you will get a lot of use out of this affordable option from Erligpowht and you’ll probably be pleased to know that your plants will absorb up to 90% of the energy released by this lighting system. It also comes with the hanging wires that you need to place the lighting system over your plants correctly. Starting a new adventure such as establishing a successful indoor growing activity can be quite a rewarding experience and everything you’ll find on this site is designed to help you get there. Whether you find what you need on this home page or you want to take a look at all of the reviews in depth is up to you, but I encourage you to take a good look around. You may be here because you enjoy gardening and want to bring the fun indoors, or you may be here to find a light for producing marijuana. Either way I have no doubt you’ll enjoy your adventure and I wish you all the luck in the world.